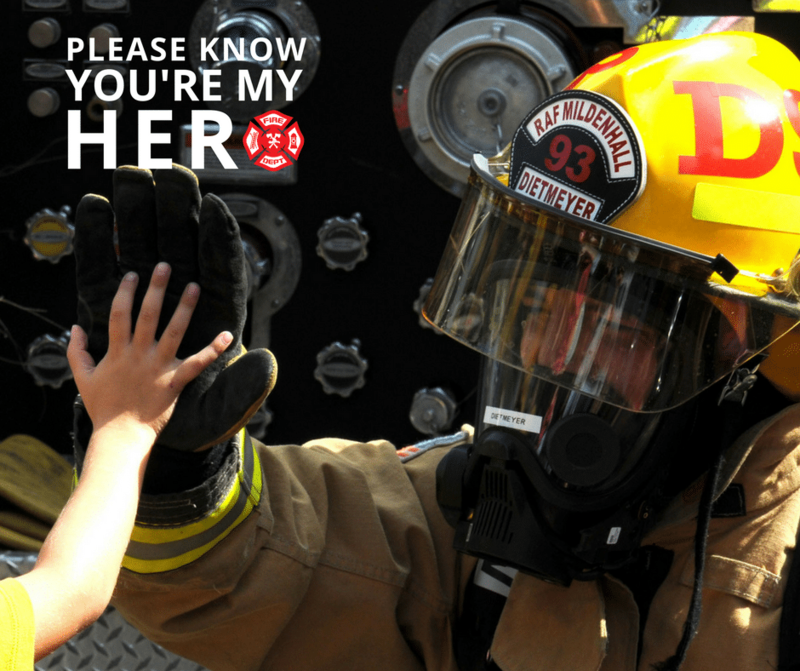 Firefighters are among the bravest heroes in our communities. You literally run toward danger to save the people and things that are most important to us. But there’s so much more about firefighters that we appreciate and admire. Here are eight things we want firefighters to know. The friendly rivalry between police and firefighters may never be settled. (And to be honest, we appreciate our heroes equally.) But when it comes to firetrucks vs. squad cars, come on. Firefighters win this one every time. You get to drive big trucks with loud sirens. You carry axes and climb ladders. We know your job is dangerous, and it’s certainly not always glorious. But the little kid in us is jealous of your toys. Every child wanted to be a firefighter at some point. But you were different from the rest of us. You had the drive to serve others and the guts to follow through on your dream. As a thank you for all that you do for our communities, Homes for Heroes wants to save you money on your next home purchase, home sale or mortgage refinance. Sign up with no obligation and we’ll connect you with one of our real estate or home financing specialists. On average, our heroes save $2,400. With all that you do for our communities, we really couldn’t ask for anything more. And yet you continue to give. Every year, you raise money for children with muscular dystrophy through the Fill the Boot campaign. You also help dreams come true by letting kids sit behind the wheel of your firetrucks and sound the siren at your open houses. Our pets are part of our family and you understand how important they are to us. You’re willing to sacrifice your own well-being to make sure every member of our family is safe, including our furry friends. For that, we are forever grateful. You literally break down doors, walk through fire and rescue people from burning buildings. You’re able to stomach some of the most gruesome and gut-wrenching accidents. Yet, despite your toughness, you show us the utmost kindness and respect. You’re tough, but you care. These are a few of the things we want firefighters to know. For all these reasons and so many more, we are eternally grateful for your service. We can’t put into words how thankful we are for every moment we get to spend with the friends and family members you’ve saved. More than anything, we want to say thank you for all that you do for our communities. These are only some of the reasons why we are committed to saving you significant money on a home. Sign up and see how much you can save on your next home purchase, home sale or home refinancing.